Enlisted Australian Imperial Force, 3rd Field Hospital. He Enlisted at Queens Park, Sydney, New South Wales. 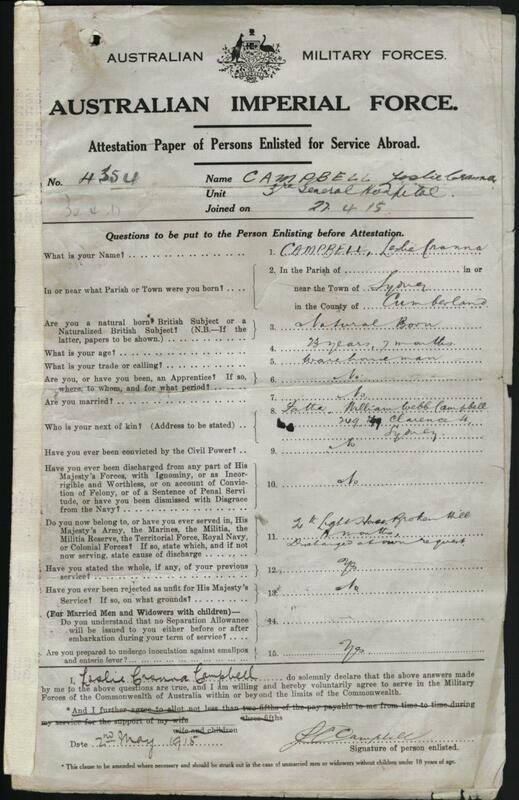 This PDF Document is the Australian Army Service Record of Leslie Cranna Campbell. He served in the A.I.F During the First World War. 1914 - 1915 Star No. 24624,British War Medal No. 11356 and Victory Medal No.11167 for his services to Australia during the First World War. [S4] NSW BDM, New South Wales Government (Reliability: 3), 1891.